Yep, Build Battles is exactly what it sounds like it is: a competition between two players to see who can come up with the best Minecraft creation in one hour, playing in creative mode and without any mods installed. The winner is chosen by a public vote. 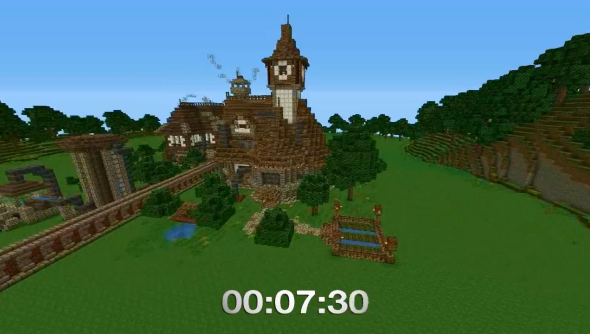 It’s such a simple concept and it’s incredibly enjoyable watching time-lapse footage of players getting creative, seeing not just what they build, but how.